I have done a quick take on this watch in the previous Oyster Perpetual write-up (mainly covering the 36 & 39mm versions). Following that, I’ve been getting quite a bit more questions on the Rolex Oyster Perpetual 34mm Black dial than for any of the other sizes. Not so surprising. We’re still living in the time where watches, and men’s watches in particular, are on the large side. Granted, it has been improving quite a bit the past two years or so. For a Rolex, the OP range is low key option. It is often overshadowed by the other watches in the range. 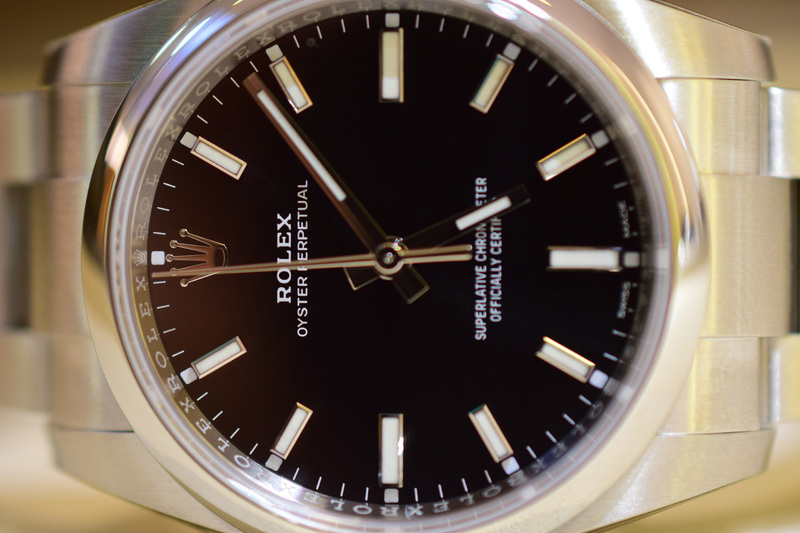 A contributing factor to that may be that it is often branded as the ‘entry level Rolex’. 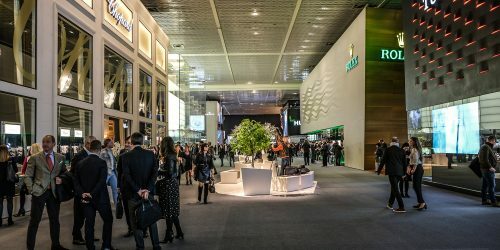 That naming is true in the sense that it is one of the most affordable Rolex watches, but that isn’t cheap or ‘entry-level’ in any shape or form. What you get is a pure blooded Rolex. The ‘quintessential Rolex’ as they call it, and I think that isn’t too far fetched. You get the Oyster case in Oyster steel, an Oyster Bracelet with the Oyster clasp. The markers are white gold providing that extra touch of luxury. It being an OP, means you don’t have to worry about water, as it has a twinlock crown and 100 meters water resistance. The 2018 version is powered by the Calibre 3130 with the latest paramagnetic blue parachrom hairspring. You’ll never see it however, as the OP has a plain steel caseback. 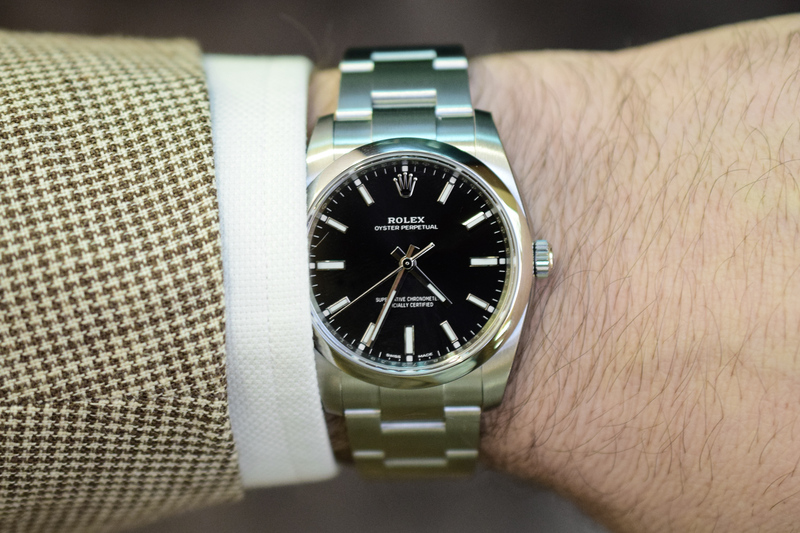 The 34mm Oyster Perpetual wears pretty much exactly like the vintage 36mm Rolex watches. This size makes perfect sense for anyone who likes the look of vintage Rolex watches, but perhaps doesn’t feel like dealing with all the headaches that come with buying a vintage watch. The watch is, relatively speaking, reasonably priced. I know, we’re talking a few thousands here, which is not a small amount of money. But you’re getting a fully functional and modern Rolex with a 5 year warranty and a 10 year service interval. A watch that you can buy and wear daily for the rest of your life, and even hand it down if you take care of it a bit. Vintage pieces are priced in the same range (or higher) and don’t come with any of that. 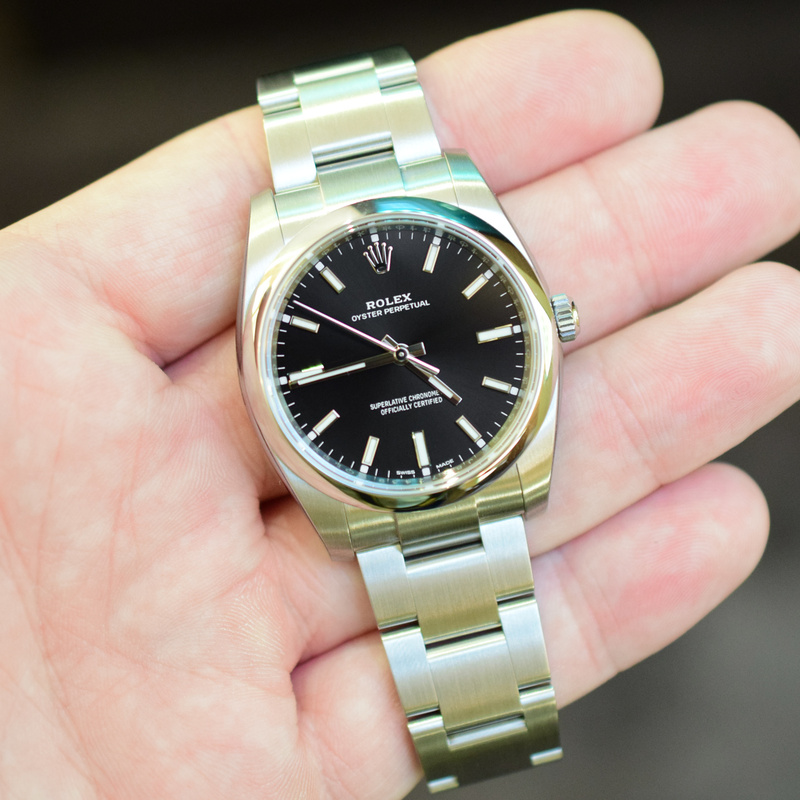 So if you’re looking at vintage Rolex’s because you like the look and size of them, I don’t see why you wouldn’t want to at the very least entertain the idea of perhaps buying a brand new 34mm OP instead. You have a few dial options in the Oyster Perpetual Range. It’s the 2018 releases that do it for me as they fill that vintage yet modern need. The Black (sunburst) dial is a beauty, and the White (milky) Dial is a great option too. I found the white to be a great look, yet the sunburst effect on the Black one gave it that extra edge over its 2018 sibling. Call me crazy, but you may also want to think about comparing the new Oyster Perpetual 34mm Black dial vs the Vintage Rolex Explorer 36mm (references 14270-up). The watch is 34mm but it is not overly thin as you can see above. 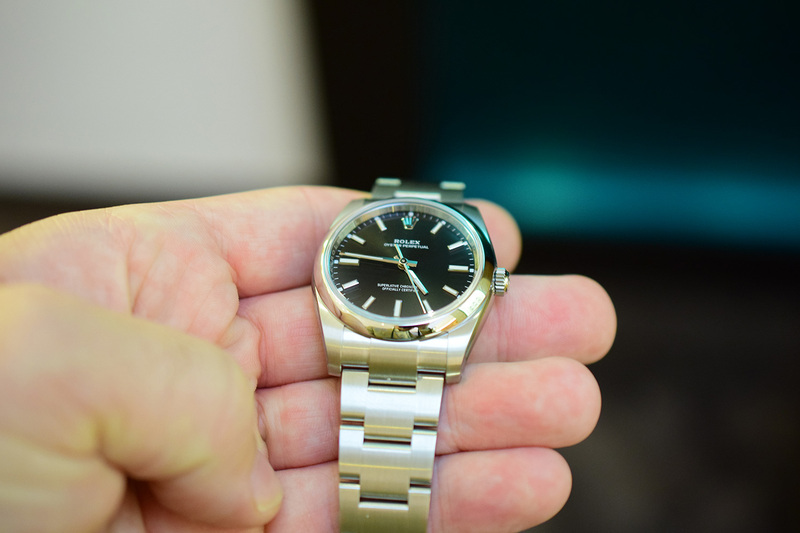 The lugs curve down nicely as you’d expect from Rolex. It just sits super comfy on the wrist. 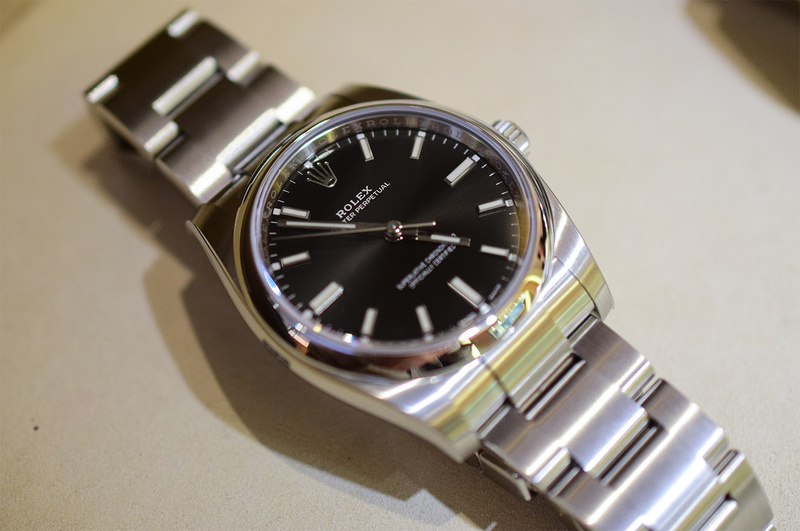 The bracelet is satin brushed, no polished central links like on its bigger brother, the DateJust. This actually fits the watch perfectly. 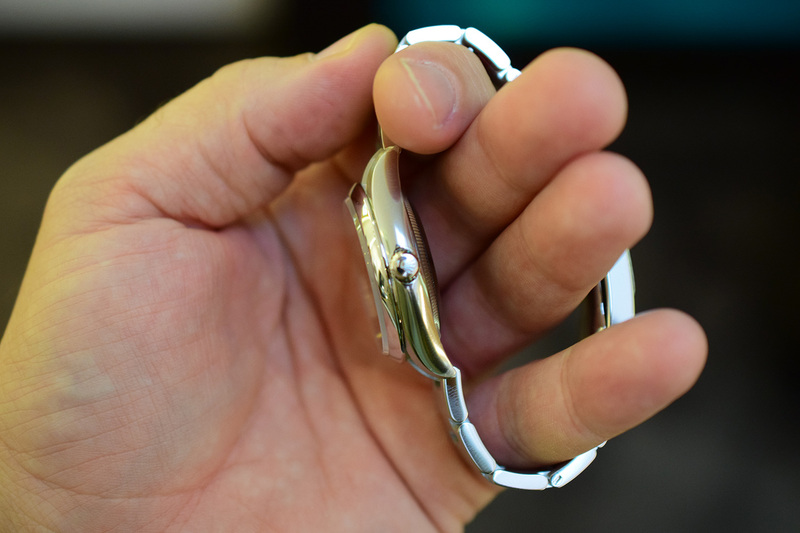 In addition, the 34mm OP has a simple folding Oysterclasp, no Oysterlock. For most modern watches, 34mm is not exactly aimed at men’s wrists. This can not be said for the 34mm Oyster Perpetual. The watch has a solid construction, feels great on the wrist & sits comfortably as well. If you like the look of those old, smaller sized, 36mm Rolex wristwatches (OP’s, Datejusts, and yes, even the 36mm Rolex Explorer) but don’t like dealing with the vintage/old aspects of such a piece – this could be just the one for you. Not to mention it makes for a great ‘only’ watch – horrible thought, I know. It is a perfect GADA watch that can take pretty much anything you can throw at it (‘Go Anywhere Do Anything’). Couldn’t agree more with those thoughts. I absolutely hate buying vintage watches, I find they feel flimsy and you never know what happened with them before. The problem is a lot of new watches are simply too big for me Even Rolex, with its oddly large cases nowadays. I think the 34mm OP will be my first Rolex at some point, black dial all the way. It would be a very fine choice sir. I know we have similar wrist sizes and while not small, not really ideal for the new ‘standard’ in watch sizes it seems. You should also look at the 36mm by the way, it’s a hair bigger but it has some differences on the dial. 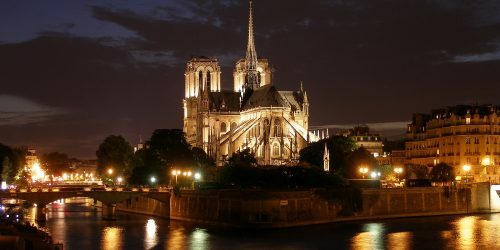 Not better or worse, just different and worth checking out.